From the Shadows: Spirit Guide Series Giveaway Winners! 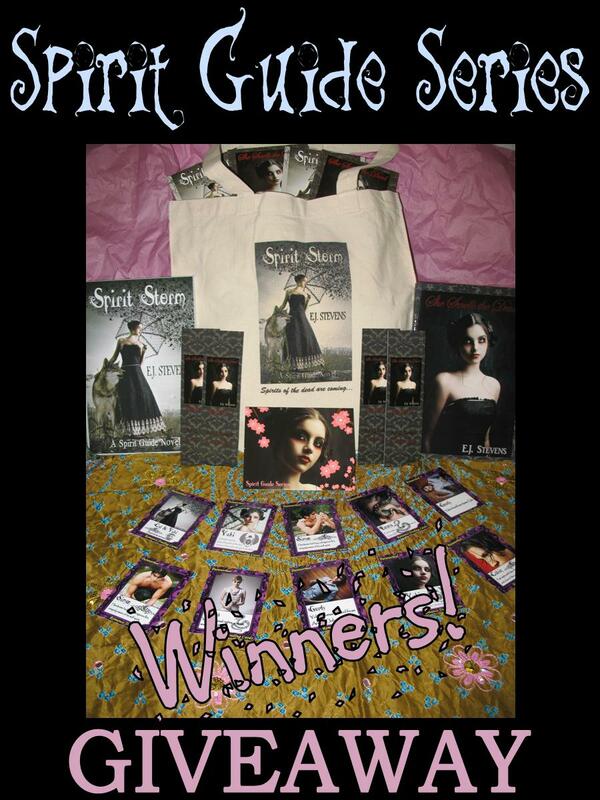 Congratulations to our Spirit Guide Series Giveaway winners! Congrats Hira aka Enamored Soul winner of a Spirit Storm tote bag stuffed with Spirit Guide series bookmarks, postcards, romance trading cards, and signed copies of She Smells the Dead and Spirit Storm . Congrats Louisa winner of ebook copies of She Smells the Dead and Spirit Storm , the first two books in the Spirit Guide series.